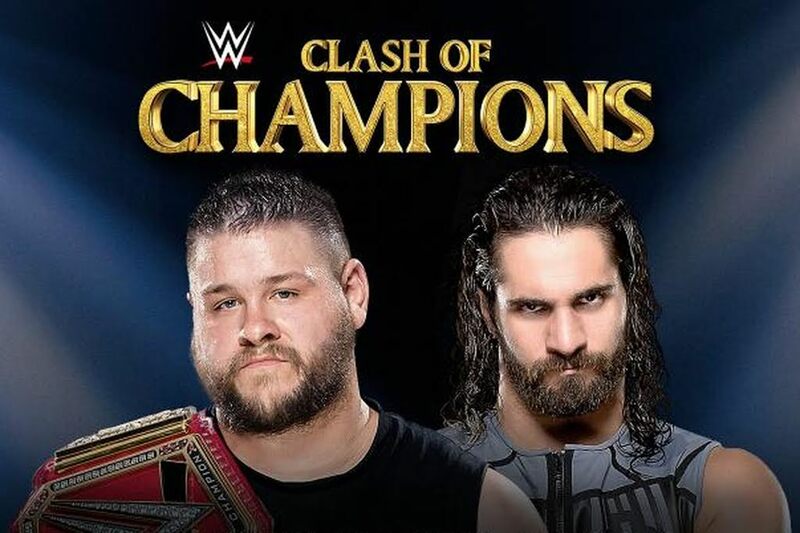 The Clash of the Champions is back. 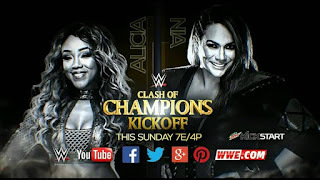 Night of Champions in reality has turned to the Clash and the card this year is exciting. What will come of this year's event? Let's take a look. -The preshow match is usually the most pointless match on the show and this is no different. Nia will win easily. Alicia Fox will go back to irrelevance shortly after this. With Paige and Emma on the way back, I'm sure we'll see Alicia Fox be stuck on Superstars or Main Event.... or not at all. -One match I could care less about. However, I have to give a prediction so here we go. 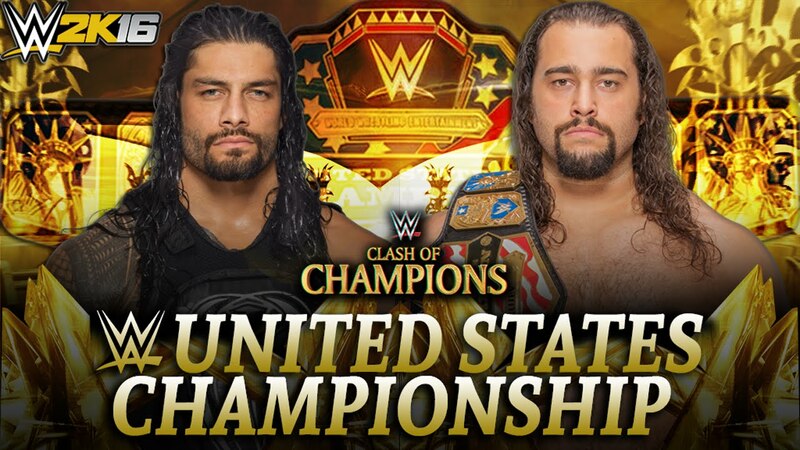 I expect to see Reigns go over and win the US Title, which does nothing for the title or Rusev, but they want Reigns to have some form of gold. Ideally, WWE would make sure Reigns isn't headlining anymore after this one. That would be quite unnecessary to keep him in the main event. Rusev will get a rematch so at least that keeps Reigns busy. -Possible MOTN candidate. I'd hope that Zayn wins but I'm fine with either outcome. It's sad that we've seen Zayn virtually forgotten after all the things he's been through the last year or two, but with this feud, he could be back on track hopefully. I say Zayn wins and moves on and eventually Jericho goes after Reigns and the US Title leading into the Rumble time. Smart money would say let Jericho win the title off Reigns, but then again I'm getting ahead of myself. Let's see Zayn win here and watch the fallout. -New Day Rocks. Over a year as champions and I'm not tired of them as the champs. At all. Here's the issue however: WWE seems hellbent on having Gallows and Anderson get a run. Ideally, you'd see New Day retain and eventually go back and forth with Enzo and Cass, but what I expect is Gallows and Anderson to win the belts and New Day then goes on to feud with another tag team for a while, before eventually splitting up after Mania. I'm not ready for the New Day to end because of what it means for the guys in the group after. I don't have faith in WWE to do anything with them. I guess we'll have to wait and see. 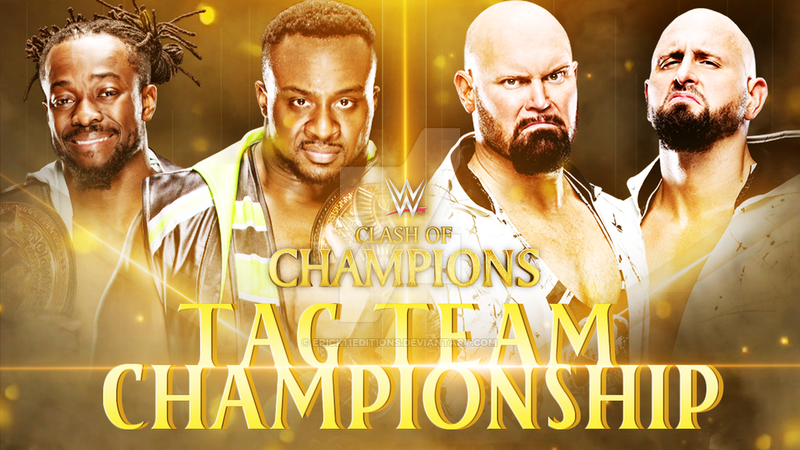 I'll go with Gallows and Anderson here unfortunately. -Cesaro came back from 3-0 and has tied the series up. No other outcome makes sense here but for him to win this match and the series and get a Universal Title shot at Kevin Owens going forward. Now, I'd expect Cesaro to get beat down most of the match and get a win out of nowhere, which might be for the best. If Sheamus wins, this series has no purpose. -This should have been Cedric vs TJP, but Kendrick is a heel and they want TJP over as a face. This is the smartest choice and this match will be great, but there's no chance in hell that Kendrick wins this and he shouldn't anyways. 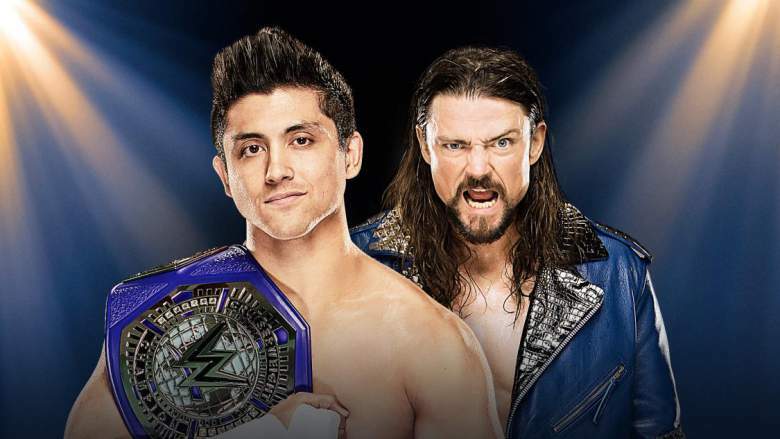 TJP retains the belt and hopefully moves on to feud with Cedric or Swann.... or knowing WWE and their white friendly booking, Jack Gallagher. We shall see. Either way, TJP picks up the victory. -This could have been a Survivor Series or Royal Rumble title match. Instead it's wasted here but I hope the match goes as planned and no injuries come along because as far as I'm concerned, Sasha Banks is the one. Bayley needs to wait until Wrestlemania 33 for her title win and pay her dues much like Sasha did the last year that she suffered losses and lack of pushes. Bayley is great, but this is Sasha's time and I'd like to see Sasha win and hold the belt until Wrestlemania. Knowing WWE though, Charlotte will likely win and then go on to feud with Bayley and drop the title to her by winter. -The MAIN EVENT. Owens vs Rollins is a dream match and here we have it as the main event of the first RAW PPV. Simply put, Owens will retain his title. No question. Nothing else makes sense. Rollins should chase the belt for a while and build his babyface clout up because he's going to be a huge face if this is done right. Let Seth get screwed here, and build up to the match with HHH at Mania, making Seth the MAN for real. Owens retains with some form of cheating in a great 20-25 minute classic. This could be a MOTY candidate. The time is upon us. The Clash of Champions is here. 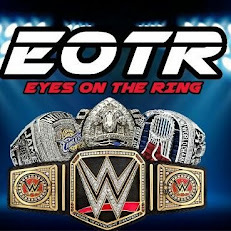 Only time will tell what shall come next and if we will see any new champions at the event. Stay tuned.